JAPES are looking for pilots for the Stirling Marathon! 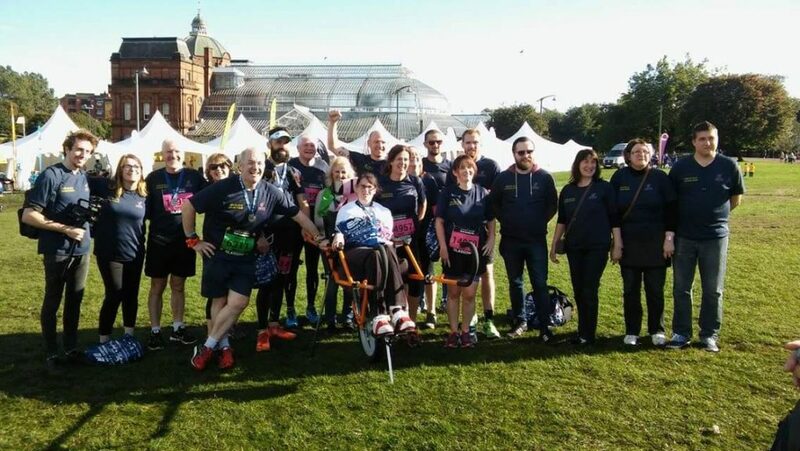 The JAPES team are looking for four volunteers to pilot their Joelette chair at the Stirling Scottish Marathon on Sunday 21st May! The team are looking for volunteers who are outgoing adventurous types! They will be spending time in a crowd with the JAPES team who won’t be familiar to them (they will probably meet the day before the race), so they will also need to be happy to meet new friends and be comfortable on the move. The chair is fitted with a four point harness and is most suited to someone with upper body mobility. The pilots will most likely be in the chair for around one hour. Pilot 1 would be in the Joelette from Blair Drummond – Dunblane. Pilot 3 would be in charge for the first lap of Stirling from Bridge of Allen. Pilot 4 would complete a second lap of the City of Stirling to the Finish. For more information about JAPES and how you can get in touch with them about this opportunity please visit their website here.